Readers will discover the remarkable proliferation of new applications of wavefront-related technologies developed for the human eye. 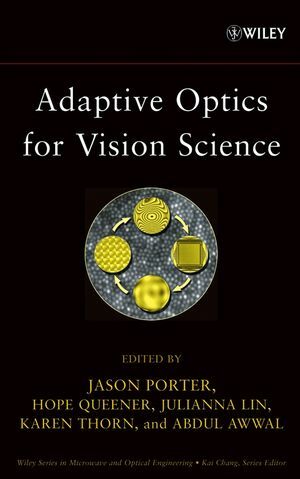 For example, the book explores how wavefront sensors offer the promise of a new generation of vision correction methods that can deal with higher order aberrations beyond defocus and astigmatism, and how adaptive optics can produce images of the living retina with unprecedented resolution. An appendix includes the Optical Society of America's Standards for Reporting Optical Aberrations. A glossary of terms and a symbol table are also included. Jason Porter, PhD, is a post-doctoral research fellow at the University of Rochester's Center for Visual Science in the laboratory of Dr. David R. Williams. Julianna E. Lin, M.Eng, is a member of the Research and Technology Staff for the Xerox Innovation Group at the Wilson Center for Research and Technology in Webster, NY. Hope Marcotte Queener, M.Sc, is an Application Developer at the University of Houston College of Optometry. Abdul Awwal, PhD, is a Research Scientist at the Lawrence Livermore National Laboratory.